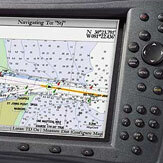 We have a team dedicated to the latest in marine electronics technology. Specialist products require specialist service and of course, we guarantee competitive prices. But unlike other online dealers we don't just offer discounted products - with our experienced team of sales experts on hand we can answer any questions you may have and can help you in choosing the right products for you.